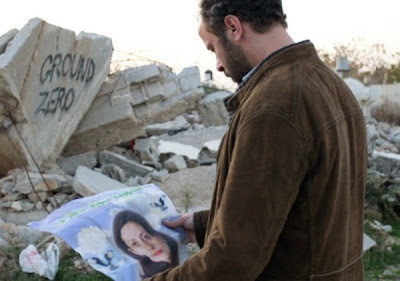 The Attack is an unexpectedly shocking film about a Palestinian and Israeli national whose wife turns out to be a suicide bomber. In the opening scenes of the film Amin Jaafari (Ali Suliman) receives a prize for his distinguished service as a surgeon at an Israeli hospital, the first Arab to be honored. In his acceptance speech he thanks his adopted country for making his career possible. During the ceremony he receives a phone call that he doesn’t take and we learn of the consequences of that aborted call later. Amin is soon visited the Israeli secret police who accuse him of being involved in the bombing attack, something that he hears from his balcony at the hospital a few hours earlier. Nearly 20 Israelis are killed and the injured are admitted for emergency treatment, most of them children, who he attends to. To his astonishment his wife is implicated and his home is searched for evidence. 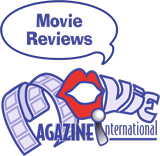 The film is adapted from the international best seller by Yasmina Khadra of the same name who worked on the screenplay together with the director of the film Ziad Doueiri. The Attack calls into play the delicate and brutal relationship between Israel and Palestine. Amin discovers that because of his wife Siham (Reymond Amsalem) he becomes a suspicious outsider except to his friends. Her political ties were unknown to him during their entire marriage. He tries to piece together how this could have happened and look for clues for how his wife could have been involved in this attack. Amin travels to Palestine where he is shunned at the mosque where he believes his wife was brainwashed by the leader. The film begins as a conventional narrative but after the attack the narrative flow is interrupted with fragmented pieces of Amin’s life with his wife. Together these pieces start to form a mosaic where Amin finds himself in the center of the larger conflict of Palestine and Israel. The great love of his life has kept her life so separate from him turns out to be a heroine for the Palestinians. Amin in time learns that it is actually not his accomplishments, which contributed to his award as an esteemed surgeon but the benevolence of his adopted country who gave him the honor. There can be no greater incongruity then an Israeli national who loves his new homeland to be living with a woman who hates what has happened to Palestine so much that she destroys herself and several innocent Israelis. Doeriri allows the spectator to unravel the mystery in his use of cinematic language just as Amin does which makes this a brilliant film. It was the centerpiece of the recent San Francisco Jewish Film Festival that ended last month.